The Golf-Swing Which golf tips will work for you? Golfers Lost looking for there Golf-swing! Someone needs Golf-Tips. OK,let me see, if I have the right Golf-Swing for this short par-4. I hope those Golf-Tips will help. As I start my swing, my lead foot is about 1-foot width past the ball, my back foot is about 3 to 4 foot widths behind the ball. The legs should have a little bend to them. Place you free hand on top of your thumb of your glove hand so your thumb of your free hand is just past the thumb of your glove hand forward. May-be even some Golf-Swinging-Tips that you can apply. 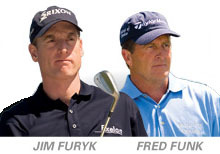 Your Golf-swing even Golf Pros work on their swings to keep the swing fresh and fluid. Your head is up chin not in your chest. The club face is pointing to your target. Now, not to slowly the club moves back, back leg doesn't move yet. Your back foot is flat on the ground from back swing until just after mid-point or impact has occurred. Do you have a favorite Golf Tip that changed your Game and lower your score? the best one and place it on my home page. Give your Golf Tip a Title. When swing back hold your posture, when your lead shoulder gets to your chin, time to release, your lead leg is moving. Now the club is about to hit the ball. Arms will straighten out as you impact the ball. The toes of the back foot are touching the ground. Your weight is mostly on your front or lead leg and the ball is in the fairway. Can you remember all that either can I. You can't do this for every shot when play a round of 18 holes.Tips for the Swing you seem to be constantly searching for better methods to shoot lower scores. As you can see there is quiet a bit to know about the swing. This is why so many golfers are looking for Golf-Tips to improve various components of there game or swing. If all this doesn't work for you giving some thought to Golf SwingTraining could be the way to go. You improved in one area, although there is another part of your game or swing that says did you forget about me your putter, sand wedge, driver. Having a selection of Golfing-Tips on hand to help you through your practice and your round. Where you're at the golf range or your regular course you want to do well. Even long drive champions are required tips to keep there shots in bounds for them to count. Will other clubs in your golf bag help you to be more precise? Most certified golf instructors have you start with a 7-iron to see how you swing the club and your swing habits. Mastering the Golf-Swing does take sometime, although there a few golfers who seem to perfect it in no time at all. The enjoyment of just being out on the golf course, is sometimes all golfers really want. Is it an escape from the day to day routine? Even these golfers do well. Keeping the ball in play has to be a challenge even on the nicest day. Improving your swing requires practice on your part. When setting-up to the ball with an iron is the ball in the right position. How should I swing when the ground isn't level like a down hill slope? 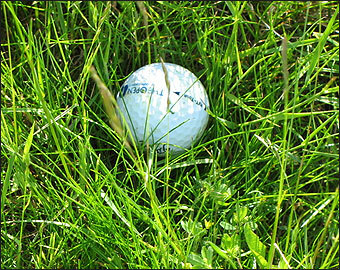 If you have always practiced on flat ground and you play on a course that has a lot of slope, you may-not do well. Having someone look at your Golf-Stance to see what you're doing right will help. Golf-Tips for the Golf-Swing on how to do this will keep your scores in line. 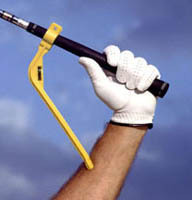 As for teaching and practice aids like The SWINGYDE to help with your swing. Some have stood the test of time so, golfers looking to improve their swing and achieve constant results on the golf course. Finding a practice aid for your fault isn't easy if you don't what you do each time you slice, miss a putt and couldn't hit your chip shot closer to the hole. Asking a golf Pro to help you with your swing and or a golf buddy to see what you do with your Golf-Swing when these fault occur. Then search for or even make your golfing aid. Some that are already out there like the SWINGYDE, doesn't cost that much. Then you given time and effort your swing will look like the image below. Tee shot. In There book Swing Like A Pro by Dr.Ralph Mann and Fred Griffin. Even having some Golf-Instruction-Videos at home to review every once in a while couldn't hurt.